Hello all! It has been a while since we talked DIY, but I've got a super simple one for your this week. This post is part of a MUCH larger project I am working on, I will be sharing all the parts along the way and then the completed project (keep your fingers crossed I get them all done in time and that it works like I am imagining it! ). 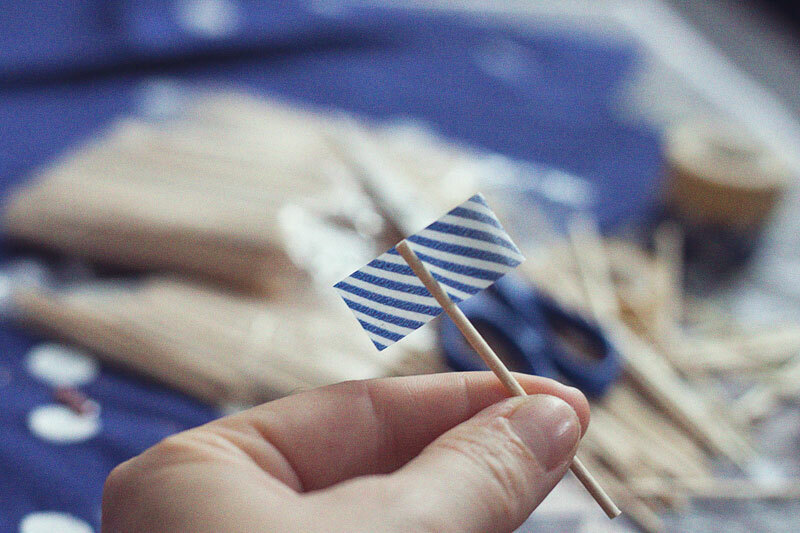 Any-whoozer, cupcake Washi Tape Flags. Soooo simple and sooooo perfect in so many ways! Washi tape is so versatile, I'm excited to start working with it, the possibilites are ENDLESS! Sometimes you want to add a little pazazz to your baked goods, but don't want to invest in a whole decor kit, or want it to be more personal. Maybe you want pink polka dots, and you can't find pink polka dot decor anywhere. Enter washi tape. You can get soooo many different patterns and colors online it is incredible! So here we go. 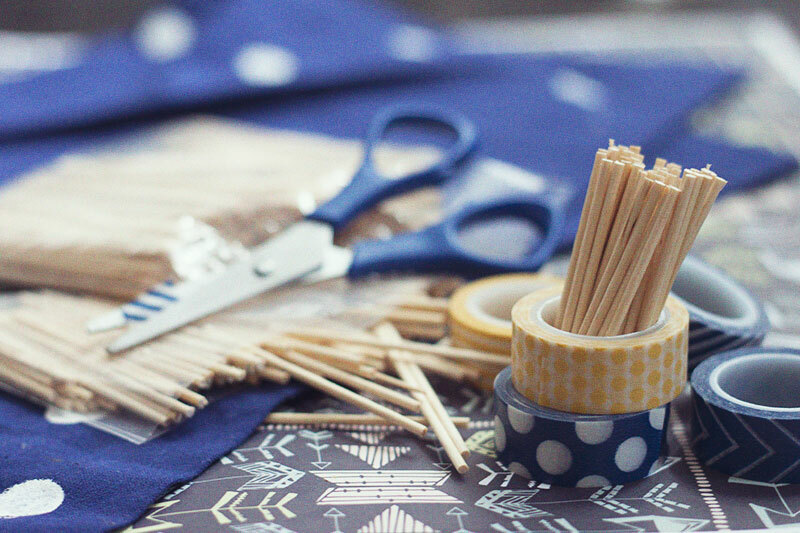 Grab some washi tape in your fave color or pattern, some small wood dowels (or toothpicks even) and scissors and you're ready to go. The ones I made are for an upcoming recipe, Blueberry and Lemon Cupcakes so i went with blue and yellow, duh! 1 / "Measure" out the amount of tape you want. A simple way to do this is using the tools you are equip with already, YOUR FINGERS! Stretch the tape across two fingers, and cut. 2 / Place the dowel or toothpick in the center of your cut tape. 3 / Wrap around and press closed. It's tape, so it self-seals! Washi tape is transparant, so you will see some of the other side, which looks great with this pattern! That's it! I have to make a ton of these, but it is so simple that I don't mind! I had some striped yellow and blue liners in the house, which was a perfect fit! These are so freakin' adorable, I am going to have to buy up some more tape for future projects!